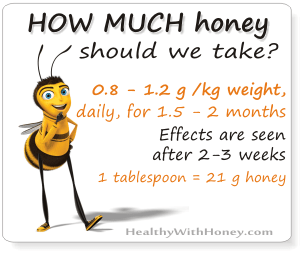 What is PDO honey and PGI honey? Have you ever seen this label on a jar of honey? Ever wondered what is PDO honey or PGI honey? They do not refer to the source/type of honey but to Protected Designation of Origin (PDO) and Protected Geographical Identification (PGI). Honey is not only something sweeter than sugar. While it is essentially composed of water and sugars (mainly fructose and glucose) there are other different valuable substances that make all the difference: vitamins, minerals, enzymes, flavors, free amino acids, and numerous volatile compounds. Traditionally honey has always been used for healing wounds and burns and for the treatment of colds and sore throats. 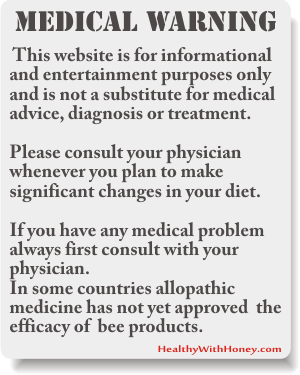 But now science has associated honey with many other medicinal effects, as it was shown to have antibacterial, hepatoprotective, hypoglycemic, antihypertensive, gastroprotective, antifungal, anti-inflammatory, and antioxidant effects. All compounds found in honey can vary due to factors such as the botanical origin, geographic area, season, technology used for honey extraction, and storage conditions. Though present at small amounts, they are reported to represent a fingerprint and, therefore, are used to differentiate honeys by botanical and geographical origins, as well as to define their quality (Schievano and others 2013). Honeys can be classified according to their floral source, we speak about monofloral (or unifloral) honey or multifloral (polyfloral) honey, or about blossom honey (produced from the nectar of flowers) and honeydew honey (produced not from nectar but from the drops of honeydew secreted by insects that live on tree bark). 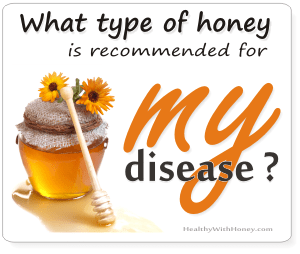 Read more about theirs differences and which are the types of honeys detailed in this website here: Types of honey. Honey can also be classified according to its geographical origin, with particular types being from specific areas within the EU, bearing the labels of Protected Designation of Origin (PDO) and Protected Geographical Identification (PGI) labels, processed and prepared in given geographical areas using recognized expertise (Regulation (EEC) No. 2081/92). 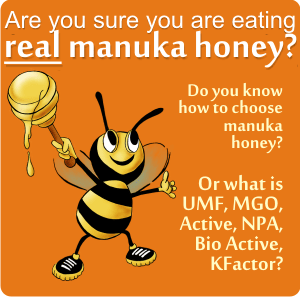 This is what New Zealand also struggles to obtain with their manuka honey: Is New Zealand manuka honey BETTER than Australian manuka honey? As happens with other products, PDO and PGI honeys generally present characteristics that are essentially or exclusively related to the specific region or particular local environment with inherent natural and human factors (Regulation (EEC) No. 2081/92). Currently, there are 23 PDO and 8 PGI honeys registered in the EU, with Portugal the country with the highest number (9 PDO honeys), followed by Spain (5 PDO and 1 PGI honeys) and France (2 PDO and 3 PGI honeys) (European Commission 2017). PDO and PGI honeys are generally perceived as high-quality products, with refined and unique flavor and taste. Consequently, thew are the most susceptible to be adulterated through incorrect labeling and fraudulent admixing with lower-cost and low-quality honeys. • Mel dos Açores – multifloral and monofloral from incenso (Pittosporum ondulattum), produced in Azores islands and registered as PDO honey ever since 1996. • Mel do Alentejo – which can be of different types: monofloral from lavender, monofloral from eucalyptus, monofloral from orange blossom and multifloral honeys. These are produced in different regions of Évora, Beja and Portalegre districts and are registered as PDO honeys since 1996. • Mel da Serra de Monchique, Aljezur, Lagos, Portimão and Silves. A multifloral honey declared PDO in 1996. • Mel das Terras Altas do Minho – monofloral from heather and multifloral honeys produced in different regions of Viana do Castelo, Braga, Vila Real, Porto and Aveiro districts. • Miel de Liébana – honeydew and monofloral from heather, produced in Cabezón de Liébana, Camaleño, Cillorigo de Liébana, Pesaguero, Potes,Tresviso and Vega de Liébana. Registered as PDO in 2016. • Miel de Tenerife – Monofloral honeys from “Retama del Teide” (Spartocytisus supranubius), from Tajinaste (Echiumspp. ), from Avocado (Persea americana), from chestnut, from heather, from Shortpod mustard (Hirstfeldia incana), from Common ice plant (Mesembryanthemum crystallinum), from Fennel (Foeniculum vulgare), from “Poleo” (Bystropogon Origanifolius), from “Pitera” (Agave americana), from Malpica (Carlina xeranthemoides), from Arabian Pea (Aspalthium bituminosum), from honeydew. It also refers to multifloral honey. All from the Tenerife island and all registered as PDO in 2014. • Miele delle Dolomiti Bellunesi – Multifloral from acacia, lime (Tilia spp. ), chestnut, rhododendron (Rhododendron spp. ), dandelion (Taraxacum spp. ), all produced in the Province of Belluno and registered as PDO in 2011. • Kraški med – honeydew from forest, multifloral from acacia (Robinia pseudoacacia), lime (Tilia sp. ), Chestnut (Castanea sativan), St Lucie cherry (Prunus mahaleb), cherry (Prunus avium), winter savoury (Satureja montana), all produced in Karst area and registered as PDO in 2013. • Slovenski med – monofloral honey from Acacia (Robinia pseudoacacia), lime (Tilia spp. ), chestnut (Castanea sativan), fir (mainly honeydew), spruce (mainly honeydew), multifloral (pollen of fruit trees, Castanea sativa, Acer sp., Trifolium repens and plants of the Asteraceae family) and honeydew from forest. Registered as PGI in 2013. • Miód z Sejneńszczyny / Łoźd/ Seinų/Lazdijų krašto medus – multifloral honey produced in Poland: 4 municipalities in Sejny county and 5 municipalities in Suwałki. And in Lithuania: twelve civil parishes in the Lazdijai District municipality. PDO honey since 2012. • Podkarpacki miód spadziowy – honeydew from European silver fir (Abies alba) produced in 17 State forest districts (Rymanów, Komańcza, Lesko, Baligród, Cisna, Wetlina, Stuposiany, Lutowiska, Brzegi Dolne, Strzyżów, Bircza, Dukla, Brzozów, Dynów, Kańczuga, Radymno, Krasiczyn) and Bieszczadzki Park Narodowy and Magurski Park Narodowy. PDO honeys since 2010. • Miód wrzosowy z Borów Dolnośląskich – heather honey (Ericaceae) harvested in the boundaries of the area in which nutrient heather stands, PGI since 2008. • Miód kurpiowski – multifloral honey from Kurpie, PGI since 2010. • Miód drahimski – buckwheat (Fagopyrum), heather (Calluna vulgaris), colza (Brassica napus var. arvensis), lime (Tilia spp.) from the Municipalities of Czaplinek, Wierzchowo, Barwice, Borne Sulinowo and in the Borne Sulinowo Forest District, located in the Drawa Lake District. PGI since 2011. • Menalou vanilia fir honey – “Vanilla” honey of Mount Mainalo, Arcadia , made from fir blossom nectar. • Leatherwood Honey (Tasmania) a noted monofloral honey from Tasmania that has been recognised by the international Slow Food movement in its Ark of Taste. 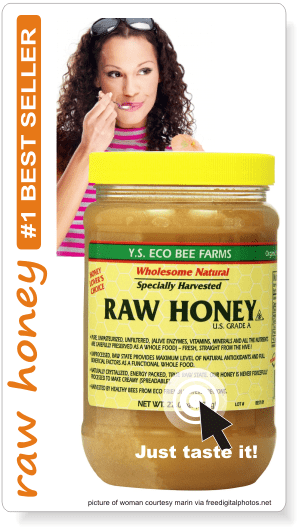 Rainforest honey aka Tualang honey – an exotic, tasty and healthy ambrosia! What is cranberry honey?